By buying this product you can collect up to 167 bonuspoints. 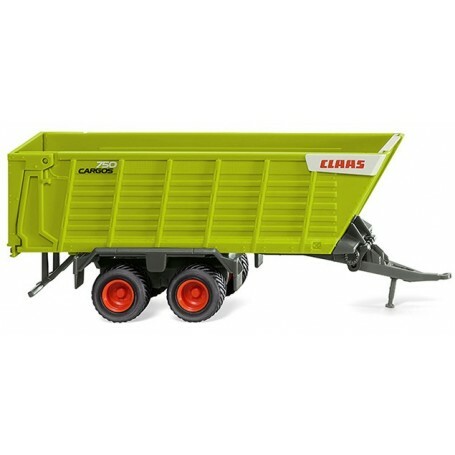 Superstructure with rear tailboard in Claas green. Bulkhead black, chassis with draw bar and fenders umbra grey. Wheel rims red. Red Claas lettering on light beige background on the front at the side. 'Cargos' lettering in black, model designation '750' in light grey. Red Claas lettering on light beige background also on the rear. Also with black 'Cargos' lettering. Maximum speed notice on black-white sign. Rear lamps imprinted red.